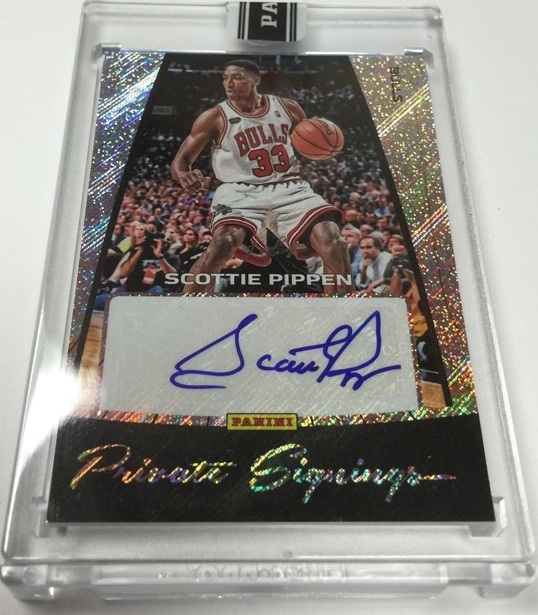 Becoming a regular tradition for championship games and series, 2016 Panini NBA Finals Private Signings Basketball continues their NBA run with another limited set that is issued to coincide with the start of the 2016 NBA Finals. The exclusive release only includes signed cards and is available as part of a special promotion on the Panini Online Store. The main Private Signings set features sticker signatures and a limited print run. 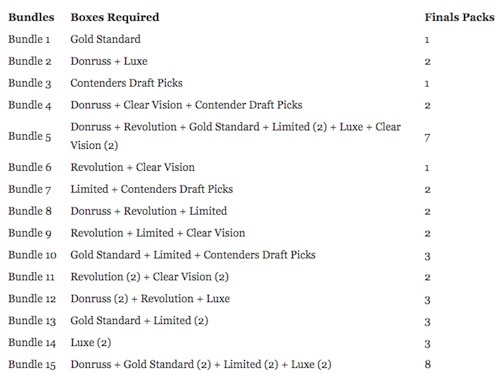 The remaining cards center in on the top first-year players with Private Signings Rookies and Rookie Signatures Materials. All cards are serial numbered and most offer a glitter-based One-of-One parallel. Although the set honors the NBA Finals and the teams included, the checklist is not limited to just the Warriors and Cavs. Current stars, key rookies and former legends are all represented with autographs. Given the limited print runs for the cards, the promotion is expected to sell out quickly. Just like the 2015 set, the 2016 NBA Finals see Steph Curry and the Golden State Warriors going up against LeBron James and the Cleveland Cavaliers. 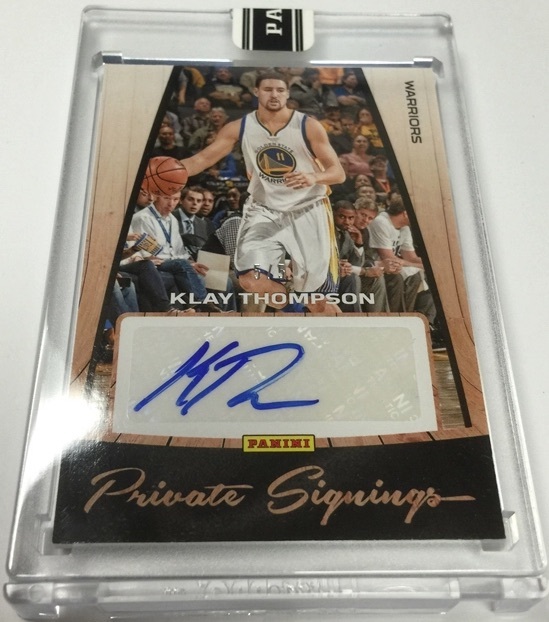 View a detailed gallery of the 2016 Panini NBA Finals Private Signings Basketball cards here.